With the continued fragmentation of England’s coaching staff after news that defence coach Paul Gustard would leave the national setup for a club role with Harlequins and that forwards coach Steve Borthwick declining to take the top job at Ulster after being contacted, the RFU may be faced with the prospect of replacing Head Coach Eddie Jones after the 2019 Rugby World Cup in Japan. Jones, who took the England job following a torrid home World Cup campaign in 2015, had originally signed a deal with the RFU that would see him leave the national side at the conclusion of the World Cup, but has since penned a contract extension that would see him stay in until 2021, acting in a supervisory role with the new coach instilled by the end of the 2019/20 season. RFU Chief Executive Steve Brown described the additional two-year deal in January. "We now have a robust succession planning process in place which will avoid the historically disruptive pattern of resetting the coaching team and performance system every four years.” Brown said. "Eddie will be a big part of this process and wants to ensure a smooth handover to his successor." Since joining in 2009, McCall has guided Saracens to four Premiership, two Champions Cup titles and one Anglo-Welsh Cup trophy, a long-running period of success that the RFU have attempted to tap into for half a decade. There has been a strong Saracens influence on the England set up for the past six years, with Andy Farrell, Paul Gustard and Steve Borthwick all cutting their teeth as coaches while working under McCall. Even Eddie Jones himself spent two brief stints in North London during 2006 and the 2008/09 seasons. 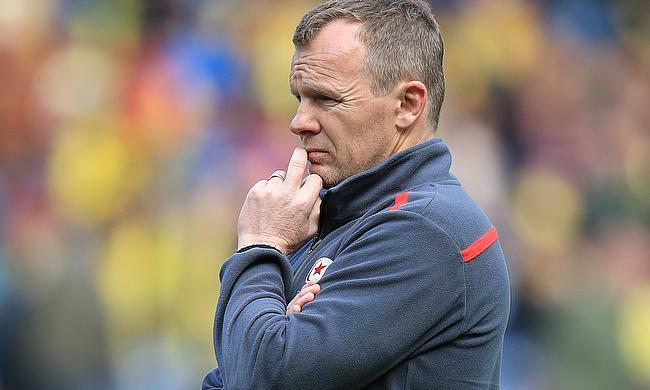 The RFU could go one step further and instil Saracens’ main men, McCall and Sanderson, as England’s top coaches. Whether Jones would retain his currently contracted period as a supervisor would be questionable, with McCall unlikely to be warm to the idea of not being in complete control. With the lowest finish in a Six Nations campaign for half a century, the news that key coaches have been seeking exits due to awkward working relationships and one of the longest losing streaks in history, the news that McCall and Sanderson have release clauses in their current contracts will prove a matter significant interest for both the RFU and fans alike.